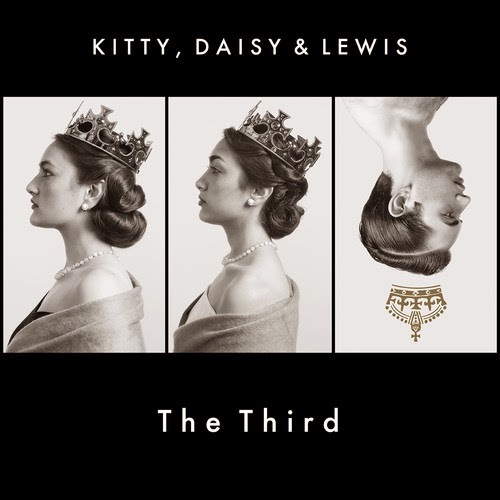 Discussions Magazine Music Blog: KITTY, DAISY & LEWIS/The Third: Available March 31st, 2015! Watch the "Baby Bye Bye" video now! KITTY, DAISY & LEWIS/The Third: Available March 31st, 2015! Watch the "Baby Bye Bye" video now! Having sold over a quarter of a million albums worldwide, London siblings Kitty Daisy & Lewis return with their 2014 album, KITTY, DAISY & LEWIS THE THIRD. Produced by Mick Jones of The Clash in a new 16 track analog studio in a derelict Indian restaurant in Camden Town, the band take their third album to another level, with the songwriting, instrumentation, styles, production and sound. With three different writers and multi-instrumentalists in the band, their songs are an eclectic mix up of Pop, R'n'B & Blues, Psychedelic Rock, Soul, Country, Jazz and Ska. Embracing a spread of influences from blues to disco, but always sounding unmistakably Kitty Daisy & Lewis, the stories in this album resonate with moods and melodies that touch you in ways that are both uplifting and unnerving.